(OPride)—Ethiopia-born Briton Andargachew Tsige, imprisoned in Addis Ababa since 2014, is officially a free man. 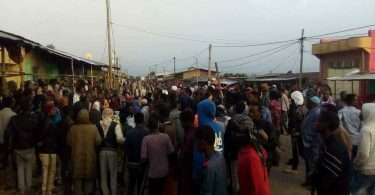 He is among some 576 prisoners who were pardoned by the Ethiopian government under “unique circumstances,” according to the state-affiliated Fana Broadcasting Corporate (FBC). After days of anticipation, confusion and false report, Andargachew was finally freed on Tuesday and driven to his parents residency in Addis Ababa’s Bole neighborhood. 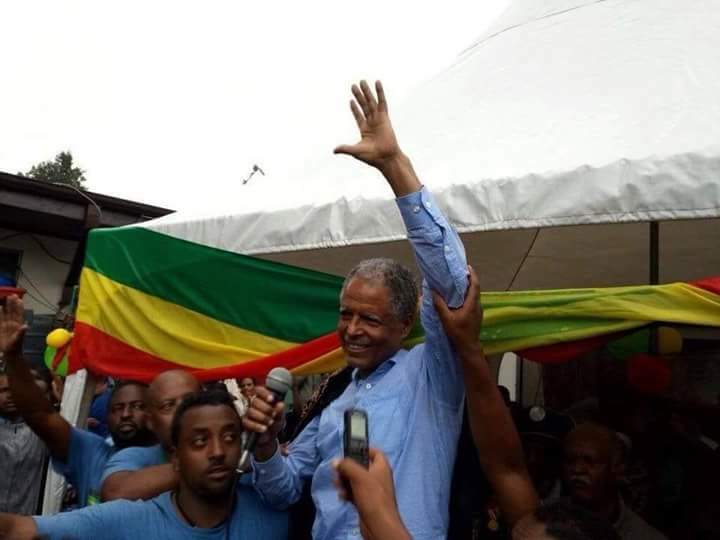 He was received by jubilant celebrations at Mr. Tsige’s compound where supporters, loved ones and activists have been patiently waiting for days. “I’m overwhelmed. I never expected to receive such an ecstatic reception by so many Ethiopians,” Andargachew said shortly after arriving at his parents’ home. People wearing t-shirts bearing his image embraced him, posed for pictures and showered him with adulation. Andargachew’s voice was at times drowned out amidst the boisterous ululations and chants. According to FBC, a total of 745 inmates, some convicted and others still facing trial, were included in the latest government amnesty. Tens of thousands of people have been freed across Ethiopia since the government announced the prisoner release in December. Last week, the Oromia regional state freed more than 7,000 people held in various facilities across the region. Andargachew, formerly a Secretary General of the outlawed rebel group, Ginbot 7, was first detained in Yemen in June 2014 while transiting through the country en route to Eritrea. Yemeni officials then extraordinarily rendered him to Ethiopia where he had a death sentence issued against him in absentia back in 2009. Andargachew’s supporters and family members campaigned for his release relentlessly over the past four years, calling on the British government to exert pressure Addis Ababa to release the father of three. On social media, his name and image have been widely circulated by those wishing to raise awareness of his plight. The flurry of prisoner releases are part of measures by the ruling Ethiopian People’s Revolutionary Democratic Front (EPRDF) to foster national dialogue and reconciliation. Ethiopia is emerging from years of domestic uprisings, political instability, mass arrests and official killings. Abiy Ahmed’s elevation is widely seen as a move to appease protesters in Oromia and Amhara regions demanding democratic reforms. 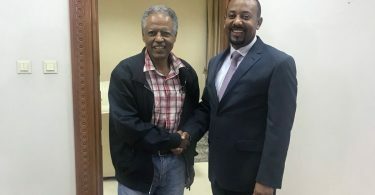 Those released in recent months include high profile prisoners such as Bekele Gerba, Eskinder Nega,Merera Gudina and another foreign citizen, Canadian Bashir Makhtal. In 2009, Andargachew was convicted in absentia along with 13 others of plotting a coup d’etat in Addis Ababa. Andargachew’s Ginbot 7 espouses regime change in Ethiopia via armed struggle. The group’s armed wing is based in Eritrea and Andy was allegedly traveling to visit the militia in Eritrea when he was intercepted by Yemeni security officials. Since his arrest, Andargachew has been paraded on national television, appearing to confess to crimes in what his supporters say were coerced statements. Lambasted by some EPRDF supporters as a convicted terrorist, his supporters consider him a hero and champion for democracy. Imprisoned at the notorious Maekelawi prison with stints in solitary confinement, his detention has been criticized by the United Nations as “unlawful.” Despite the uproar in Britain, repeated consular visits by the British embassy in Addis Ababa and high level delegations from UK to seek his release, the UK government was criticized for not doing enough to secure his release. Andargachew is expected to return to London, where his wife and three children live, in the coming days. Andy Tsege, a British citizen and one of my constituents, has finally been pardoned after four years on death row in Ethiopia.